2013 Press Pass Legends Racing honors NASCAR's past as well as top stars from the present. 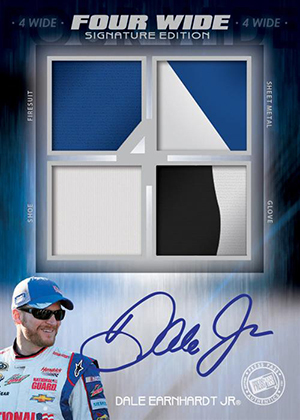 Every 18-pack box delivers three autographs and three race-used memorabilia cards. Master boxes are divided into three mini boxes, each of which has one signed card and one relic. 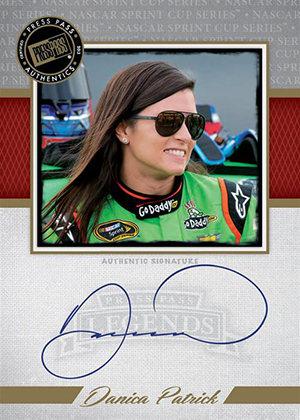 The 2013 Press Pass Legends Racing base set has 60 cards. 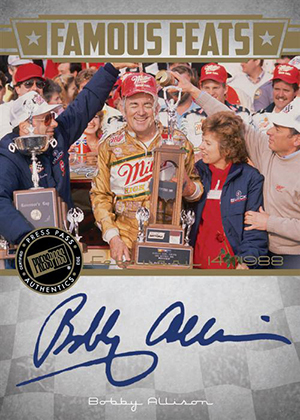 Within this set are cards for current NASCAR Sprint Cup Series standouts, racing greats as well as subsets dedicated to Mark Martin and the late Alan Kulwicki. Autographs come with on-card signatures. 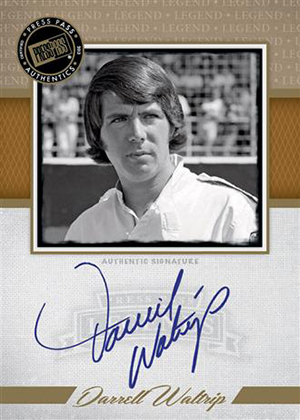 Besides basic autograph cards, others include Famous Feats, Signature Style and Printing Plates. 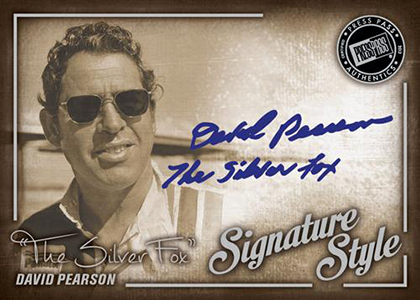 Autographed memorabilia cards come in the form of Pieces of History and Four Wide Signature Edition. As always, memorabilia offerings cover a broad mix of materials and pieces. Just about anything worn by a driver or used on their car is fair game for Press Pass when it comes to putting together different combinations. Fire suits, gloves and sheet metal are just some of the race-used pieces collectors can expect. Specific memorabilia sets in 2013 Press Pass Legends Racing include Alan Kulwicki Tribute, Mark Martin Salute and Remembering Davey Allison. 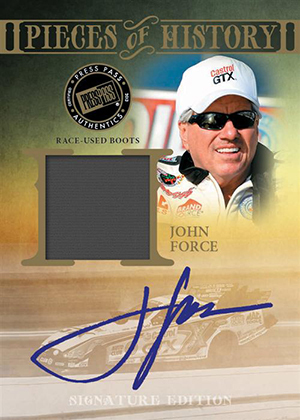 Both autograph and memorabilia cards use retired and active racers. I typically only buy Press Pass’ high end releases but decided to give Legends a shot since I heard this will be their last release before they close the doors. Overall, not terribly impressive as I dislike pulling redemptions. Perhaps Panini or Topps can land the NASCAR license next year! Goodbye Press Pass. We will miss you!